We offer in-person Ayurvedic Consultation in San Diego, California. Webex/Video Consultation are also available for non residents. We offer consultations on weekdays and weekends! Ayurveda is holistic science that takes into consideration, body, mind and soul while treating the individual. Ayurveda looks at the root cause of the disease & not just the symptoms. Each individual shows different constitution hence the diet, lifestyle & herb recommendations are different for each person. That is why Ayurveda is a kind of personal medicine. Because of its unique approach people get good results with almost no side effects. Being natural self healing system it is very popular worldwide! 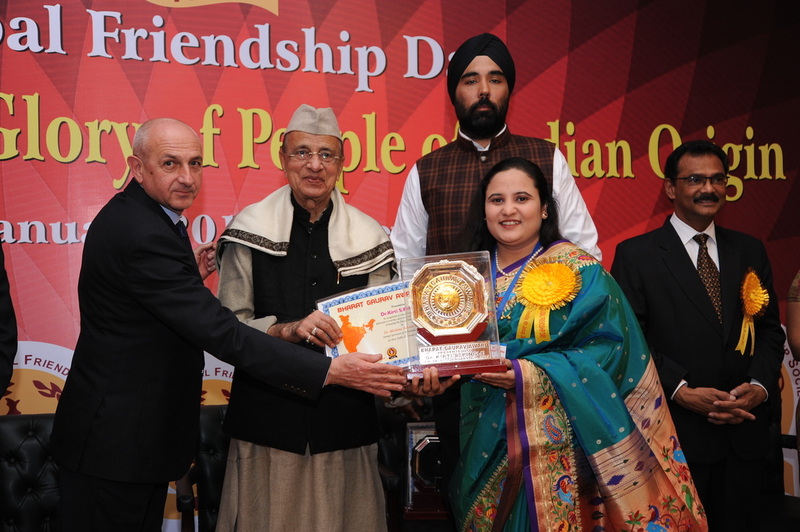 Consults will be held with Dr. Kirti S. Pingle, MD (Ayurveda), a professional Ayurveda-trained practitioner who was educated and has practiced Ayurveda for over a decade in India. 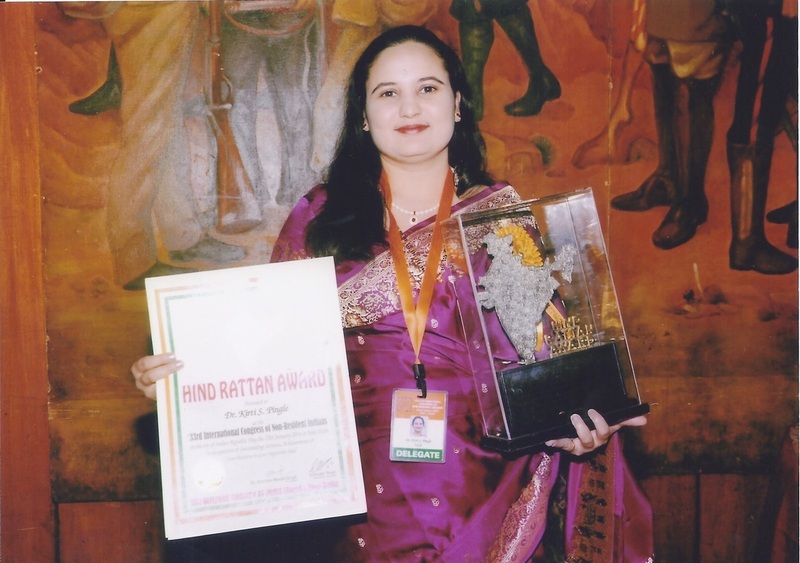 Dr. Kirti S. Pingle has been awarded the prestigious "Hind Rattan Award/ Jewel of India Award of 2014" for her "outstanding services, achievements and contributions for keeping the "Flag of India High". 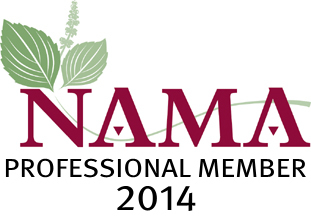 She is the professional member of NAMA (National Ayurvedic Medical Association). Recently Dr. Kirti Pingle has been felicitated with "Bharat Gourav Award of 2015" in the conference held at New Delhi, India. We provide consultation for diseases like Diabetes mellitus, Obesity, Hypothyroidism, Hyperthyroidism, Heart diseases, Urinary system diseases (Urinary calculi, burning micturation), Hyperacidity, IBS, Insomnia, skin diseases (Acne, Psoriasis, rashes etc. ), joint pain, Osteoarthritis, Rheumatoid arthritis, gout, Feminine issues (Heavy bleeding, irregular cycles, PCOD, Uterine fibroid) etc. Learn to cook delicious Vegetarian & Vegan Ayurvedic recipes for balancing your dosha. Learn more about spices for simple home remedies. You will receive a handouts for all recipes. We will teach you tasty menus for breakfast, lunch, dinner and afternoon snacks. Come, Eat and Enjoy healthy cooking! To schedule an appointment for a consult or a cooking class, please email us at info@ayurvedaamritvani.com or contact us using the form below.